Ive been very busy with my fall cleaning. Yep, I said FALL cleaning. Everyone knows about spring cleaning but if you think about it, you also do a fall cleaning every year. Summers get busy, especially at the end when you try to cram every last bit of warm weather fun into each day. The housecleaning gets neglected, its too nice to stay inside or its too hot to do housework. Then the cooler weather hits and you want to decorate. Thats when you notice that somehow the house has gotten a bit dustier and the piles of papers have gotten a bit taller. Some people do not notice this until they decorate for the Holiday Season but I believe everyone does a good thorough cleaning at this time as we prepare to stay inside more. Ok, we all know how to clean our houses. And hopefully we are clearing out the clutter and either donating the items or selling them on Ebay or Craigs List (which I just discovered and am amazed at how fast some things sell when listed). We bring the change of seasons into our houses as we decorate with leaves, dried ears of corn & other harvest symbols, and change the linens to from bright summer yellows & greens to falls orange, brown, and deep red. And of course, the fun Halloween/Samhain stuff like black cats, bats, skeletons, and other spooky stuff. 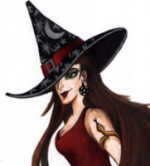 This is the Season of the Witch and we can display our decorated cauldrons with pride. But have you remembered to cleanse your space thoroughly? Im sure many of you already cleanse your space often, this is just a reminder in case life has been hectic and it has been put off. I am guilty of that, I used to cleanse my house several times a month. Now I have let it go a month in-between a good negative-clearing cleanse. If you do not cleanse your space, see the next section for instructions. For those that do, I also mention several ways to do it and maybe youll find one that sounds intriguing. Why cleanse your space? Well, have you ever felt restless, nervous, or uneasy in your own home? Have the occupants been arguing more or avoiding each other? Do you feel so tired and/or stressed that the littlest chore seems gigantic? These are signs that negative energy is cluttering up your home. Its time to get rid of them and luckily, this is quite easy to do. You have several options. The most common way is by using a smuge stick or incense (sticks work great but you could use a sensor with your own loose blend). The smoke clears out the negative and turns it into positive. Most use a sage smuge stick but I prefer incense. I do not like the way a smuge stick burns as little lit pieces sometimes drop from it and I have had them go out half way through. (I use smuge sticks when cleansing myself and an area right before a ritual and sometimes for cleansing magickal tools). I used to use an incense of frankincense and myrrh for cleansing (Airs brand). At the time, I just liked the smell better than the sage incense but I later learned that that blend is especially purifying for extreme cases of negative energy and evil forces so I guess my instinct was right on. For some reason I cannot remember, maybe they were out of it, I switched to sandalwood incense and that became my favorite whenever I had to cleanse anything. Now I use sage incense as I got some wonderful sticks that I now sell at shows. Any of the above scents work wonderfully to clear the air in your home. The great thing about using smoke to cleanse, especially for beginners, is that seeing the smoke fill the room helps them to see the change in the energy. The more they do it, the more they feel the change. If it is the first time you are doing this, plan out how you will walk through your house so that every room will be cleansed without having to double back. If you have more than one level, start at either the top or the bottom and do each level in order. You can plan to move clockwise through your home, or counter clockwise if that makes more sense to you for removing negativity. I feel that the negative energy is being pushed out of each room by the incense and that the smoke is positive energy that replaces it. Since the last room I cleanse is a bathroom, I turn on the fan so that all the negative energy is sucked out but an open window would work too. There are others who feel that the negative energy is not pushed out but changed into positive by the smoke so no need for an open window or fan. Both ways are correct and both work equally well. (softer)I fill this room with positive energy. I say these words in every room with every turn. As I walk out of this room into the next, I draw an equal arm cross with incense in the doorway to keep the negative from entering again, I do this at every doorway. In the next two rooms I also have to turn in a circle three times but then I do the kitchen, which is also where I do my magic circles. I walk three times around the table. Then into the living room where again I walk the room three times. I then do the spare bedroom and lastly the bathroom where the fan pulls out all the negative. I leave the stick to burn out in the spare room or in the center of the house. Some people cannot use incense or smuge sticks, either because of others in the house or their own sensitivity to smoke. In that case, you can use salt water. Just mix a small amount of sea salt with water and with your fingers, flick it around every room in the house to keep the negative energy away. Or you can put it in a spray bottle and spray it but remember this is salt water, you do not want a lot of it on some surfaces. A bowl of sea salt set out in a room will keep negative energy away between cleansings. You can also make a sage essential oil and water mixture for flicking around a room. Sandalwood or lavender would work too. Putting the essential oil and water in an oil burner would clear the room of negativity. This would work to cleanse one room at a time as moving a hot burner would not be a good idea, or if you had an oil burner in each room for whole house cleanse. If you want to be more dramatic or just like a good fire, try this. In your cast iron cauldron or other high heat proof dish put 1/4 cup Epsom salts and enough rubbing alcohol to cover the salt. Place on a heat proof surface like a trivet, tile or even a rock if you have a big flat one laying around. When you light it, the flame should be blue, or mostly blue, and it will burn very hot so let it burn out and cool before moving the cauldron or dish. There is no odor or smoke so it will not set off a fire alarm. This is more of a cleansing of the vibrations of the room and would work well before and/or after a ritual to cleanse the energy of the space. All these scents and tools work very well to cleanse your space, leaving a pleasant smell behind in most cases. And if you enjoy working with tools and the dramatics of ritual this can be fun to do. But heres the secret that can spoil any excuse for buying more supplies....your own energy is really all you need . Your will and your thoughts can clear the negative out of your space just as well as any smoke or spray. Granted this works better if you are healthy and able to focus completely on the task. In other words, if you are ill and/or very depressed, stressed, or tired then you should not drain yourself further by using your own energy to cleanse your space. In those cases then use the tools available to assist your energy when you cleanse. But if all is well with you physically and you have been cleansing your house regularly, then give this a try. Start where you normally start when you cleanse, ground and center. Focus your mind on clearing out all negativity in your house and replacing it with positive energy. Keep this focus as you walk through your house and do not let your mind waver. Best to do this when no one else is home to distract you. You can speak or not speak, whatever works for you. When I did this I found it best to walk forward the whole time, no back tracking so if you walk into a small room do not walk out backward but turn around and walk forward of it. Go through each room once, if you normally do as I do and walk the room three times then change it to once around. The reason for this is because keeping this strong focus is draining and you do not want to drag it out as you may lose too much energy by the end of the house. If you have more than one level then you may want to stop as you reach each level and give yourself a minute to refocus. Even tho most people use sage to cleanse their space, there are many others that work just as well. Below is a list of these. Use whatever you prefer or have on hand. If you always have used the same herb/scent, try a new one to see if you notice anything different.